At the AU Stone Company, we offer 12mm or 20mm reconstituted quartz stone benchtops which are the most durable stone with more than 93% quartz. We can offer simple Melbourne kitchen renovations processes, using your existing laminate benchtop as the base, then overlaying it with our quartz stone benchtops (mitred edges) to give an elegant finish to your kitchen renovation. While offering cheap stone benchtops in Melbourne, you can be sure quality has not been sacrificed to make them cheap. 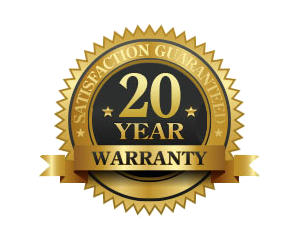 We even offer a 20 year guarantee! A stone benchtop or worktop is a valuable addition to any kitchen. It looks impressive and is easy to wipe clean with water, requiring no chemicals. Using a real quartz reconstituted stone in either 12mm or 20mm gives you a lot more options in the processes of installing quartz stone benchtops into your Melbourne home. The AU Stone Company products are covered with a 20 year Guarantee. This gives you a peace of mind, guaranteeing that there will be no problems with your new benches, and covers chips, cracks, and stains. They might be affordable and cheap, but there is absolutely nothing lacking in quality. Whatever you’re looking for in your next stone benchtops in Melbourne, we’ve got you covered; Caesarstone benchtops, marble looking benchtops, and stone overlay benchtops are our talent. With so much combined years of experience between us, you can be certain that your kitchen stone benchtop will end up looking utterly fantastic – a cheap price and a quality product. So what are you waiting for? Give us a call on 03 8555 0213 or alternatively use our online contact form to arrange A FREE MEASURE & QUOTE. We can also provide samples, and are happy to answer any questions you may have regarding our kitchen benchtops or other products. CALL (03) 8555 0213 FOR A FREE MEASURE & QUOTE. "Instead of ordering a solid slab of natural stone, The AU Stone Company placed 12mm quartz stone overlay over the top of my existing Laminex benches. They did this in one day. No mess, no fuss. Now I have a brand new kitchen for a fraction of the cost. By using Real Quartz Reconstituded Stone in 12mm form we can install over the top of your existing kitchen benchtops for a superior finish in a quick time. No chemicals required to clean. A simple wipe with a damp cloth is all that is needed. Stone benchtops are sought after by home-buyers. They are an excellent and functional investment. Stone lasts for centuries. It is scratch, stain, chip and heat resistant. You can be confident that in ten or twenty years your stone benchtops will be as beautiful as they are when you first purchase them. From traditional to modern, there is always a benchtop to suit your style. © Copyright 2015 AU Stone Company Pty Ltd. ABN 73 600 901 380. All Rights Reserved.